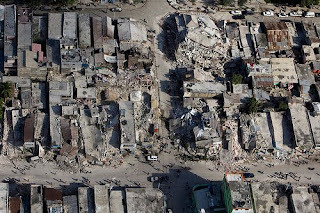 Don's Notepad (Official): Haiti needs our prayers and our help! Haiti needs our prayers and our help! We are only beginning to sift through what's happened in Haiti and whether our loved ones were among those that were hurt. The 7 plus magnitude earthquake was apparently a shallow one, which caused great devastation in a country that already was having problems with this economy. If it was a deeper earthquake, it would have caused less damage. To my closest friends, the Pierres, Comperes, and Josephs and the rest of the Haitian community in Lehigh Acres and Fort Myers, our thoughts and prayers are with you. Please know that this pain, you do not bear alone, my family and the world cries out with you.